What can be done when a furniture handle breaks? Metal fatigue can affect weak areas in hardware. 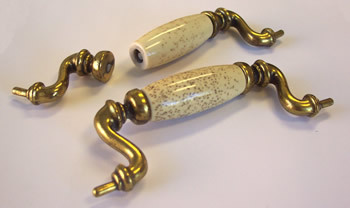 Most damaged handles can be restored with new tips or replacement threaded swivels. When your handle breaks what do you do . . .
. . . or out of business? If a replacement is simply not available? 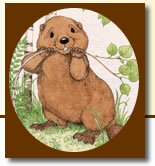 Let Beaver Metal Works be your solution to fix damaged or discontinued furniture handles. We have been repairing broken furniture drawer and door pulls and handles for over 25 years and have completed restorations on most name brand hardware. Beaver Metal Works offers drawer and door hardware remanufacturing starting at $25.00. We utilize replacement brass and steel handle tips embedded into the handle, resulting in a strong, durable handle that's better than new (for handles permanently affixed to a back plate, both parts will be needed). All repair work is guaranteed for one year, so contact us for a quote or send your broken handle to us via US Mail.